Attention turkey bums: Your job has become substantially more difficult. 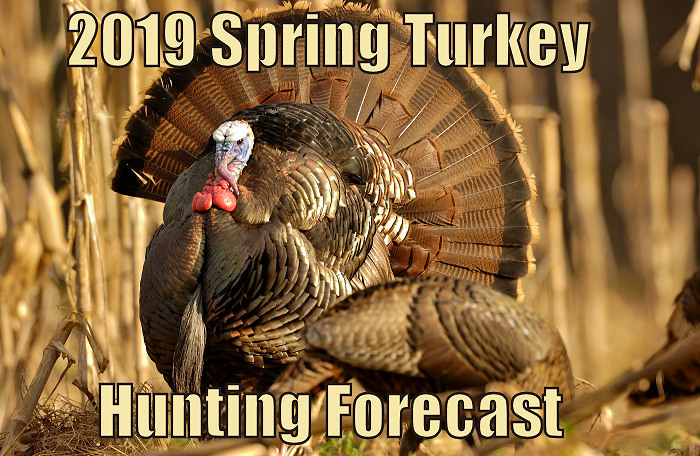 With great spring hunting opportunities available coast to coast from March through early June, you’ll probably have to pick and choose your adventures. For many folks, that means southern Florida Osceolas in early March—or, for the eager crowd, maybe Hawaiian Rio Grandes even earlier. Your choices expand as seasons for hard-gobbling Easterns open throughout the Southeast and Midwest. And then there’s that quick jaunt to Texas for loud-mouthed Rios — or maybe north to the prairies for last-chance Merriam’s. Estimated population: Unavailable. Steve Barnett, district wildlife supervisor/wild turkey project leader for the Alabama Department of Conservation and Natural Resources, says the state is working to develop methodology through continuing research to better estimate the population in light of recent population declines. Spring 2018 harvest: About 27,000, based on a Responsive Management telephone survey (the state’s mandatory reporting system, Game Check, indicated a harvest of 9,645 gobblers). Potential 2019 hotspots: Barnett recommends Barbour, Skyline, Oakmulgee, and Sam Murphy wildlife management areas. Season dates/bag limits: March 16 through April 30 (varies by zone). Limit: five gobblers combined during fall and spring seasons. Potential 2019 hotspots: Langley says Merriam’s hotspots include eastern units (1 and 27) and the North Kaibab (Unit 12A). Gould’s hunts typically see high success rates, but permit numbers are limited. Rio Grande hunts are similar to those for Gould’s. Quick tip: Turkey habitat in Arizona occurs almost exclusively on U.S. Forest Service land, so scouting is critical. Season dates/bag limits: Youth-only: April 19 through 25, May 10 through 23. First hunt: April 26 through May 2 and May 10 through 23; second hunt: May 3 through May 23. Archery-only: May 10 through 23 (in limited units, this is an over-the-counter tag). The annual bag limit is one turkey. Overall outlook: As in many Southeastern states, turkey reproduction in Arkansas has been declining since the early 2000s. However, prospects aren’t entirely gloomy. Rough duty waits. Really, it might depend on your motivation, vacation time and need for sleep. Then again, you can snooze during summer. Here’s a quick guide to start planning your spring hunts.